In our offer there are services for the verification and repair of Deutz, Cummins and Perkins engines, and hydraulic pumps and motorsusedin construction. With years of experiencein the industrycanboast ofqualified personnel,providing servicesin a professional manner. Due to the increasing requirements for specialized separate the two separate workshops. One dealing with the subject of internal combustion engines, the second - hydraulic components (pumps and hydraulic motors). The base of good repair is a thorough verification. We try to ensure that our services meet the highest standards. Due to the fact that for each component the conditions in which he worked - and thus - their condition can vary drastically every item that is accepted for repair or sale must also be verified. Only after checking the technical condition of a component, we are able to provide information on the possible repair costs. Construction machinery, due to their intensive use, require frequent service. It also happens that the machine crashes at the least expected moment, ie in the middle of the work. This is very troublesome for an entrepreneur who has to arrange for the machine to be transported to a fixed service and bear high costs. The solution to this problem is the mobile service WIBAKO, which will reach the indicated place and will even carry out advanced repair. We have been offering mobile service for 4 years. At the beginning, we focused on trips to replace components such as hydraulic pumps and internal combustion engines. Over time, however, more and more inquiries began to arise regarding more comprehensive service. We have responded to market demand and expanded our offer. Of course, the foundations of the mobile service are experienced mechanics and diagnosticians who have high skills in detecting and removing even serious faults. The teams were selected in such a way as to be able to carry out on-site repairs, with the guarantee of professionalism and professional assembly / disassembly of the components. We are constantly investing in the development of service engineers. What do we offer within the mobile service? At present, we have three completely equipped service vehicles with accessories which are suitable for handling various types of applications. From routine maintenance, such as replacing fluids and filters, by replacing components, after repair at the construction site. We offer the service of the external assembly and dismantling of pumps and hydraulic and diesel engines, warranty service of assembled components, verification of damage to the machine, as well as inspection service, ie checking the condition of the machine on site. 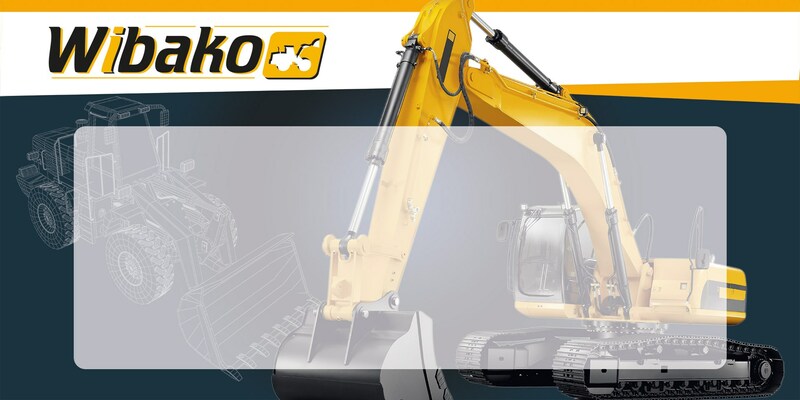 The WIBAKO mobile service is designed for one purpose: to give owners and machine users significant savings in time and money. Thanks to the fact that we are able to carry out most maintenance work even on the construction site, there is no need to organize costly transport of the machine to the fixed service. Our experts guarantee a fast replacement of the components, which always end up checking their correct operation and possible adjustment. The servicers also control the condition of the fluids and filters to ensure that the machine is capable of further operation. Using the WIBAKO mobile service, the entrepreneur is confident that his machine is of professional skill, not of mechanics who often lack the knowledge, skills and equipment to carry out professional repairs. In addition, services provided by the mobile service are covered by our warranty. Entrepreneur can sleep peacefully because he knows that if needed we will arrive at the place in the shortest possible time. Wibako engines runs on machines all over the world from Australia via Malaysia, Russia, Africa, Middle East and the whole Europe to the USA and Brazil. No matter where you are ... contact us and we will do our best to help you solve your problem!